Silk pillow cases, said to reduce friction and therefore make your face less creased, your hair more glossy and less likely to fall out and generally the world to be a better place. Last year, I went along to the John Lewis bed department as they were running “how to make a bed” workshops. I went along in a professional capacity because NO-ONE can teach me how to make a bed. I have a Napolitan mother and I was in the army. Although I rarely actually make my own bed, when I do, it is frighteningly precise. Anyway, while I was there we got talking about pillow cases and I did learn something new: that silk pillowcases are meant to stop your face creasing. I looked into this in a lazy, hazy way and I found out some women swore by silk pillowcases to stop your hair looking like you’ve been doing handstands in bed. Although I have to say, I quite like my bed-hair. And it made their faces less creasy and puffy in the morning. Your hair really does seem smoother and somehow more glossy after sleeping on one. I don’t really suffer from creasy morning face (yet), because I took the precaution of selling my soul to the devil at an early age, and keeping a portrait in the attic. BUT yes, it does also seem…smoother. My silk pillow doesn’t get as hot as my cotton one, by that I mean, I was constantly having to flip my pillow at night to get the colder side (am I the only one that does that?) and the silk doesn’t seem to get so hot. I got my pillow case from John Lewis, but you can get cheaper ones and I thought it might make a nice thing to go on a Christmas present list. This entry was posted in Beauty, Consumer and tagged hair, silk pillowcases, wrinkles on November 29, 2012 by Annalisa Barbieri. 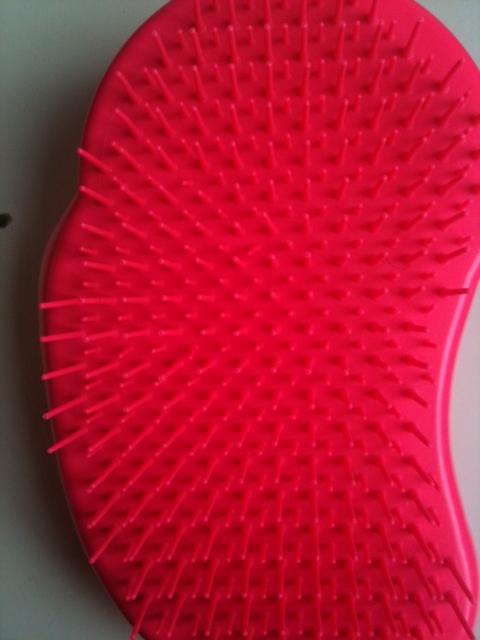 And what it was was a Tangle Teezer or a hairbrush that looks like a dog/horse’s grooming brush (I actually think the addition of a strap around the back of it would be no bad thing). They come in three permutations. This one which is the original, and you can pick them up from £9 to about £13 depending on where you shop and what colour you go for (I actually choose black but I got this flourescent pink, that’s Amazon for you). Purple glitter, for example, costs the most as it’s ‘limited edition’. There’s a child’s version which is round and comes in a flower pot and then there’s a mini version. I think this is the best – read easiest to use. Anyway, children love it – it sails through dry or wet hair with ease and every one fought to use my daughter’s at swimming (because of its design, it’s really easy to clean so that didn’t freak me out like it normally would). The the point of it is that it’s a tangle destroyer that works without pulling the hair. I love it, it’s kinda massaging. You can’t style with it, it’s really for just combing knots out. Not 100% sure how it’d cope with really thick hair, it struggled with the thicker bits of mine. You might be able to see here that the ‘teeth’ are in two lengths – that’s apparently the secret of its success. And they’re bendy. Anyway, you can buy them on line or in Boots/just about anywhere. 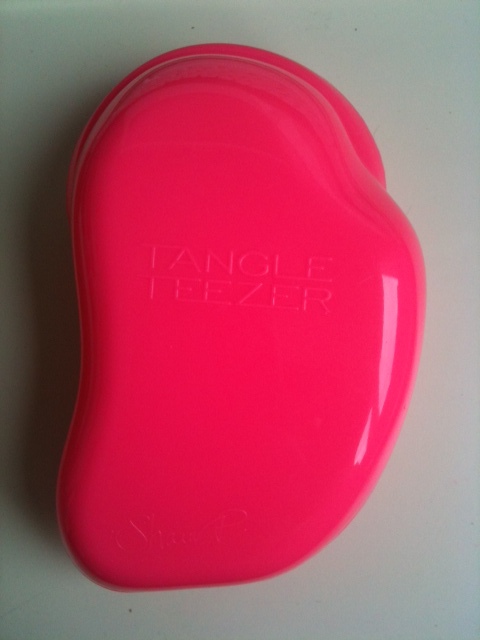 This entry was posted in Beauty, Children, Consumer, Equipment, Useful things to know and tagged hair, swimming, tangle teezer on September 6, 2011 by Annalisa Barbieri.